Which Court Rules Apply to My Case? 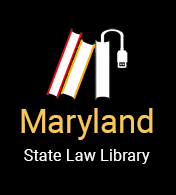 You will find the special rules for small claims in MD Rule 3-701. The trial court will be more informal under these special rules. If there is no special rule on your particular issue, then the general rules (MD Rules Title 3 excluding Chapter 7) apply. For example, MD Rule 3-701(e) says that there will be no discovery allowed in small claims cases (i.e. cases in which $5,000 or less is in dispute). If your claim is for only $50 more ($5,050), however, discovery is allowed under the regular District Court rules. See MD Rules Title 3, Chapter 400. Meaning that more complicated rules will apply for your case. You need to be prepared. Book traversal links for Which Court Rules Apply to My Case?